The Catechism students of Christ the King Parish Khonsa made a Gospel Tour to nearby villages of the Parish to share the message of the Gospel on 29 January 2017. 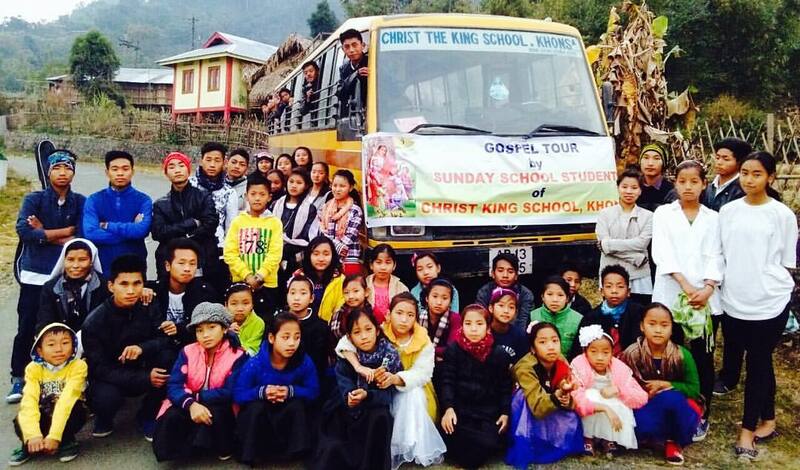 To share the message of the Gospel and faith and experience the love of Christ among the people, a group of Catechism students from the Parish made a Gospel tour to Kheti an Thinsa villages on 29 January 2017 with Fr. PT George, the Parish Priest and their Catechism teacher. It is a new initiative to of Khonsa Parish to help children and youth participate in the work of evangelization among the people.